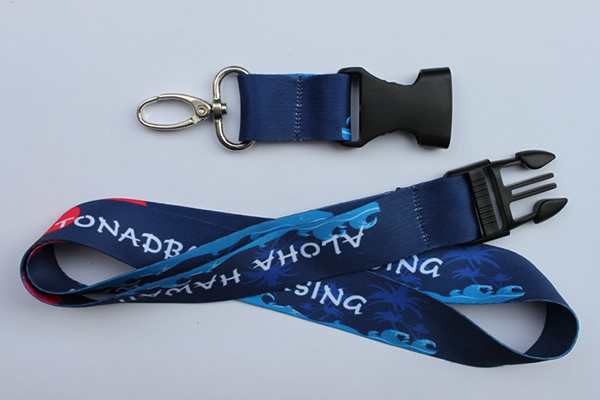 9/16" polyester lanyard feature with step and repeat heat-transfer printed logos, plastic snap buckle release, 360 degree swivel metal lobster clip. Customization available! [Imprint size] 35 7/16" x 9/16"
[Sizes] 35 7/16" x 9/16"